Posted by Sam Smith on Wednesday, May 2nd, 2012 at 9:55pm. If you are in the market to buy a luxury water front condo in Newport Beach you may want to consider the famous Mai Kai condo building in the Corona Del Mar area of Newport Beach. Mai Kai Condos were originally built in 1960 as the premier bayfront building in Newport Beach. Back then you didn't have many choices when looking for luxury condos located directly on the water. The condos features one to three bedroom models with various square footage's. Expect to get around 1,347 square feet for the one bedroom, 1,651 to 1,857 for the two bedroom with luxury 3 bedrooms in the 3,000 square foot range. 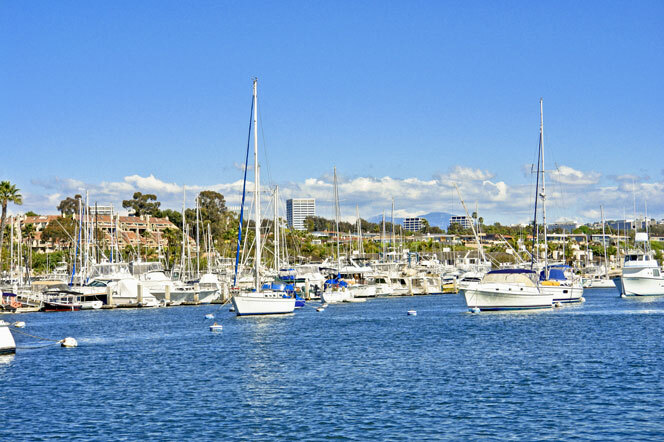 All condos are located on the "Yacht Club Row" in Corona Del Mar and have wonderful views decks of the boats, the Newport Bay and faces Balboa Island. Depending on the condo you can have decks as large as 45 feet wide! From this location you have a direct view of Little Balboa Island and the Main Island of Balboa itself. If you love to walk then the location can't be beat. It's an easy stroll to Balboa Island and the famous Fashion Island shopping center is located near by. Many of the condos have been redone since the 1960's and condo prices are currently above the $2 million dollar mark. These condos rarely come on the market so seize the opportunity when they do come up. The condos do come with two car garages, central air conditioning.